I hope that you all had a lovely Thanksgiving weekend. I spent part of the long weekend poring over children's literacy and reading-related news. In the process, I found a variety of newspaper articles and blogs posts aimed at helping parents to encourage young readers. Coincidentally (or maybe there's something about this time of year), nearly all of the posts are written in the form of tips for raising readers. I hope that you will find some useful ideas. At Great Kids Books, Mary Ann Scheuer reviews two websites specially designed for children just learning to read. She says: "Two websites that I particularly like for children learning to read are: PBS Kids Island and Starfall. Both sites help children develop early literacy skills while having fun. Both are solidly based on literacy research, and both have no advertising. Best yet, both are free and easy to use." Mary Ann describes PBS Kids Island in quite a bit of detail - her post is well worth a look. At A Chair, A Fireplace and A Tea Cozy, Liz Burns recently republished an article that she wrote for Foreword Magazine in 2007, about ways to encourage reading. Liz says: "Reading is fun. And I think that should be enough reason to encourage reading, and to praise reading, and to value it when we, and kids, read. Linking reading to increased employment opportunities and civic duty may be necessary to get press attention or involve employers and other organizations, but c'mon; does a ten year old care about that? Should they? No; they shouldn't read "because I will be a better person." They shouldn't read "because then I will make more money." They should read because it's fun." And then she discusses specific ideas for making reading fun (including "Read what your kids are reading", one of my favorite suggestions, too). For more tips on encouraging reading, check out this article by Dr. Michele Borba with tips to get kids and teens to read. Borba says "Here are nine tips from The Big Book of Parenting Solutions I shared recently on the TODAY show to help parents get their kiddoes reading and hopefully even rekindle that great love of the printed page. (A little disclosure here: I was a former teacher and taught children's literature so you have to know I LOVE the printed page. I've also written 22 books so my bias should be evident)." There's definitely some overlap between Michele Borba's list and my own list of Tips for Growing Bookworms. But personally, I don't think we can talk enough about the importance of letting kids choose their own books, reading aloud to older kids, and so on. I found this link via Tweet from @KidCriticUSA. Still more tips are available in a Times Press Recorder article from First 5 San Luis Obispo County, published in honor of Child Literacy Month. This article breaks the tips down for infants, toddlers, and preschoolers. For instance: "Babies like brightly colored books with photos of other children and such familiar objects as toys and baby bottles. Also, choose books with pop-up characters and images that are soft to the touch so your baby can feel different textures." And, for preschoolers, "Make sure to always have books available for your children, even while running errands or traveling in the car. Read while waiting at the doctor's office or the bus stop -- anytime is a good time for reading." Based on sometimes frustrating personal experiences, Amy from Literacy Launchpad shares suggestions for making the most of a library visit with a toddler. My favorite of Amy's ideas was: "When you read a library book at home that you really like, talk about how it came from the library! Get them excited about finding MORE great books at the library." There are some other suggestions from Amy's readers in the comments. That's all I have for this week. How about all of you? Has anyone come across any good articles or blog posts about encouraging young readers? If so, I'd love to hear about them. I also have some additional links in this week's Children's Literacy and Reading News Round-Up on my own blog. With all the toys and DVD's and video games clamoring for attention during the holiday season, it can be hard to notice the quiet book. For a few years now at MotherReader, I've put together lists of specific book titles and links to particular gifts. Feel free to stop by for some ideas. Overall though, there are a few themes that you can apply yourself for ways to give a book. Give a knitting, crocheting or other craft book with supplies and gift card to craft store. If you know how to do the craft, perhaps you can spend some time teaching it. For a teen or adult, give an interesting, insightful book with a restaurant gift card and a date to discuss the book together over a meal. Comparing the book with the movie can be fun, so consider giving the book along with a handmade gift certificate for a movie date for a rental or a theater release. For girls, pair a book with a related necklace. It's easy to find both books and jewelry for lovers of horses, dolphins, cats, and dogs. You should be fine with ballerinas, musicians, and soccer players. Young kids will enjoy picture books with a stuffed animal. With so many books featuring animals, finding a match isn't a tough prospect, though it's worth noting for ease sake that Kohl's sells inexpensive pairings of books and toys to benefit its own charity foundation. Speaking of charity, there are a number of books that can be paired with a donation to a related organization. An easy choice is One Hen  How One Small Loan Made a Big Difference with a loan to Kiva or a donation to Heifer International to buy chicks. Abby the Librarian has a nice selection of matches for making the world a better place. Look at giving an experience, but add a book to make the gift giving fun. Animal books with a trip to the zoo, marine life books with a trip to the aquarium, dinosaur books with a trip to a natural history museum, sports books with tickets to a game, dance book with tickets to ballet, or theater books with tickets to a play. Think about what is else is available in your area like ice skating rinks, indoor pools, trail rides, etc and what book might help represent that outing. If the place you have in mind doesn't sell tickets or memberships, make your own gift certificate. Go ahead and give the toy you're dying to buy, but consider if a book might go along nicely with the gift. 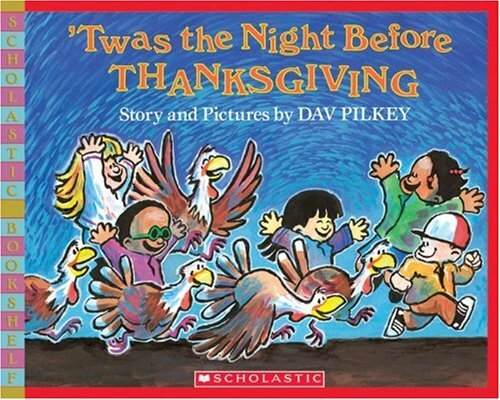 It can't hurt to thrown in a book as a little extra, maybe a special holiday title or an old favorite. Give a book this holiday season, however you want to do it. The malls are all decked with holiday décor, and whether we're ready or not, "toy season" is here. As you might expect, books are one of my favorite gift choices, but I also think its fun to sneak in something that doesn't look like it is related to reading. Did you know the ABCs of learning to read doesn't begin with letters? It's true. Much of what we as adults tend to dismiss as "just playing" is really the brain's way of organizing and putting together the building blocks that kids later use for learning to read. There is a lot of science (link to Reading Online article, ©2000, International Reading Association) to support the idea that playing is a very effective way for kids to build lots of skills, reading being one of them. Trevor Cairney has additional links and some tips for encouraging simple play at Families, Literacy and Learning, too. This week, I thought I would pull together some ideas for ways to give the gift of reading that don't require batteries, computers, flashcards, or workbooks. Encourage your Artist in Residence - Every toddler and preschooler I've ever met loves to play with crayons, markers, chalk, and paint. Giving kids the tools to create their masterpieces ultimately feeds into their reading. First, they can tell you fantastic, often very elaborate stories about those abstract versions of castles and dinosaurs, flowers and houses. Second, it also gives them practice in recognizing and drawing shapes. What does that have to do with reading? Well, let's look at the letter b. It has two shapes: a line and a circle. The process of turning those early squiggles into straight lines and misshaped lumps into a circle is a precursor to being able to put the two objects together to create that "b." Before you know it those waves that mean "I love you. You're the best Mom in the world" will transform themselves into letters and lots more love notes that don't require translation! Promote your Little Detective - Just as kids need to recognize the parts that comprise a letter, they also need to know what makes them different. When they're building a puzzle, they are looking for those types of clues ... one of the stepping stones of reading. That same stick and circle not only make a "b," but they are used for a "d" and a "p" as well. Putting together picture puzzles gives kids practice in finding shapes that fit together and pick them out from those that don't. It also lets them practice separating the "trees from the forest" and what makes sense (or doesn't). Does the tree branch really connect to the top of the sheep's head? Look for puzzles with pieces that range from 2 to 4 inches, are easy for a young child to manipulate, connect with "buttons and holes," and have just a few elements to the picture. Not the ones with 60+ pieces, varied shapes, and subtle distinctions (like 15 striped hot air balloons). Mix in some Music - You can find children's music in every genre. The sillier the better ... at least from their perspective! The lyrics in kids' songs let them hear language in new ways, whether it is a made-up word or just a really big one. The rhythm, rhyme, and repetition all help with vocabulary. These are just a few of the ideas of ways to mix in some "literacy toys" this holiday. When it comes to kids, their imagination and energy, there is no limit to where they can - and want to go! We were all born with an insatiable appetite to discover and learn, and there are so many ways we can encourage that and still meet our goals of turning our little ones into successful readers. If you've got some ideas, please add them below. I know one elf who would appreciate the help! Nighttime is the right time for reading, and here are three, new, Cybils-nominated books to pick up for bedtime. To be able to appreciate its charm, think of this book as a wordless picture book that happens to contain a little bit of text. 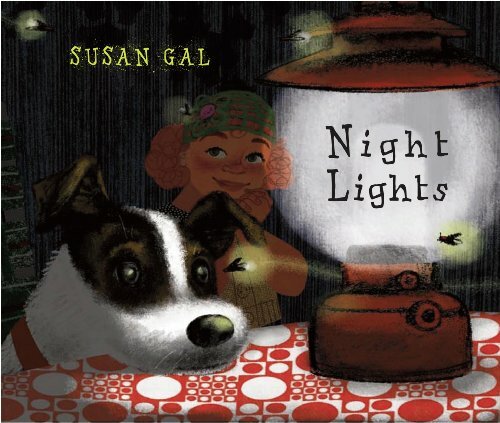 The story is entirely in the pictures, with the words pointing out the various lights seen at night - like headlight, firelight, and flashlight. The story is of a girl and her mother biking home in the city, having a cookout and birthday cake in the backyard, and then the girl going to bed. Simple enough. But allow lingering over the illustrations to see the way the lantern light shines differently on the faces than the firelight. Notice the marshmallows that go outside in the lantern light, are forgotten in the lightning storm, and attract surprise visitors in the spotlight. Delight in the use of real fabric, elaborate patterns, and children's drawings to add depth to the drawings. Even the endpapers have a little story. 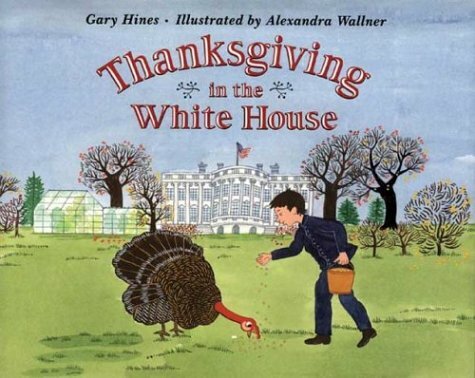 Wonderful, gentle book for toddlers and preschoolers. 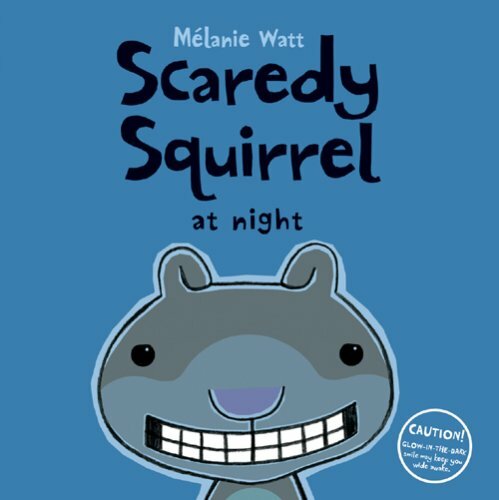 Scaredy Squirrel is here in his fourth book, and just as charming as ever. Now he can't sleep because he is afraid of bad dreams in the form of bats, dragons, and polka-dot monsters. He stays up, but experiences many negative side effects of not sleeping. He faces the problem with preparations that involve cupcakes, banana peels, and a fire extinguisher. Will his plan allow him to get a good night sleep? Of course, but the fun is in how. Funny, silly, adorable, and clever the book quietly contains a message about the importance of a good night sleep along with the series theme of maybe not needing to worry so much. 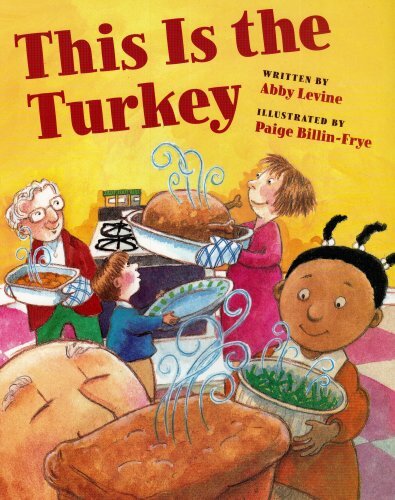 Delightful book that will be enjoyed by the preschool set and up. When Gabe is ready to go to sleep, he needs his monster under the bed. Unfortunately, his monster took off on vacation, leaving Gabe to interview possible candidates. But each one is rejected for not having loud breathing or sharp claws or a slimy tail. It's only Gabe's monster who is scary enough - in a good way, understand - to keep him from getting out of bed at night. 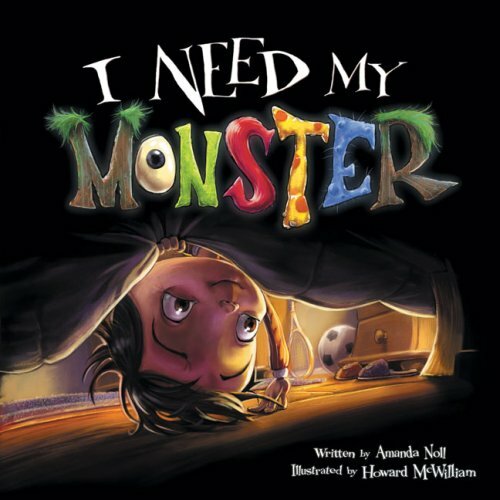 This is a great take on the traditional monster-under-the-bed story where kids conquer their fears of this beast. Here the story embraces the concept in a humorous and clever way. The illustrations are amazing in bringing the story to life, but the monsters may be a bit on the creepy side for younger readers. Know your kid. It's perfect for the kindergarten to second grade set, who want a bedtime picture book with a little bite. That wasn't a monster joke. Okay, it was. Mom Jodi picks the beloved tearjerker Bridge to Terabithia. Katherine Paterson's classic story of Jess and Leslie, who create their own kingdom in the woods, is popular reading in schools, was a Trophy Newbery, and has been made into a movie. "This book is my favorite because when it was read to me as a child, it began my love affair with reading," Jodi says. "It brought me to another world of imagination." What book has opened you or your child's minds to other worlds?